Welcome back to Inside Dirt for Issue 28. 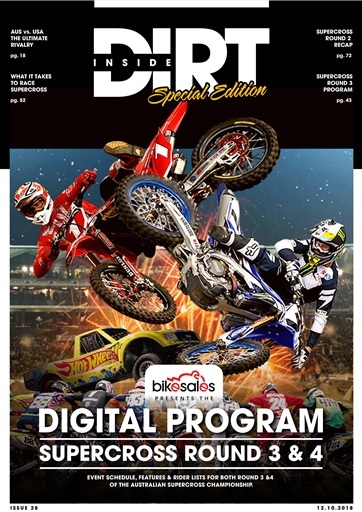 This special edition of Inside Dirt gives you the Official Program for both Round 3 & 4 of the Australian Supercross. 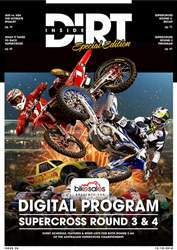 Inside you will also find news and stories from the AJMX, Australian Supercross Round 2, AORC and much more!